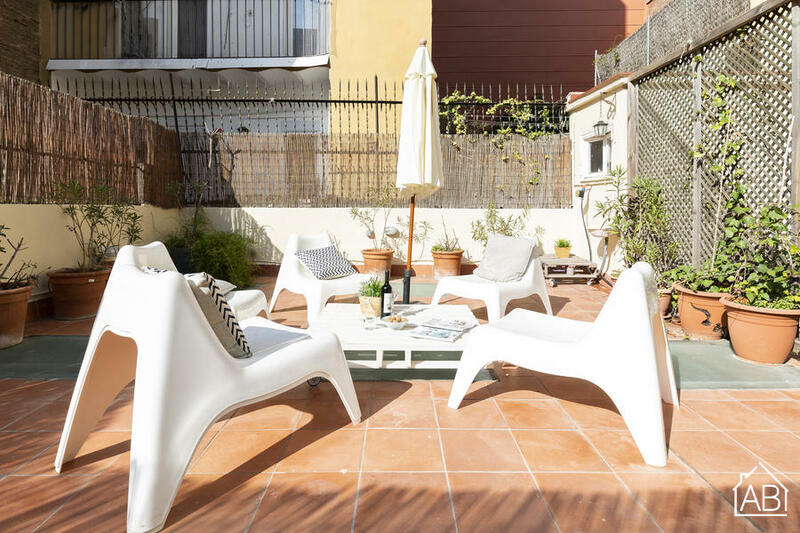 With it´s own private outdoor terrace and free wifi, this apartment is just five minutes away from Mercat Nou metro station. The apartment sleeps up to five people across one double bed, two single beds, and one sofa bed. There are two bathrooms. There is an open plan living and dining place with natural light and neutral colours. There is also a TV. The kitchen is equipped with a coffee maker, toaster, oven, microwave, and pots and pans. The neighourhood of Sants is the ideal choice for those that want to stay slightly further out of the hustle and bustle of the city, yet still within easy reach of the city’s main attractions. Please note: From the 20th of March - 15th April, access to the terrace will be prohibited due to essential building work.